I am a triathlete because everyone needs a healthy form of therapy. As a pastor, I need something in my life that is “completely other” than what I do day in and day out. Through the years I have found solitude, friendship and life through the sport of triathlon. It has taught me much about perseverance, discipline, and accountability. With my friend and training partner, Jon Poe after my first Half Ironman in Austin. 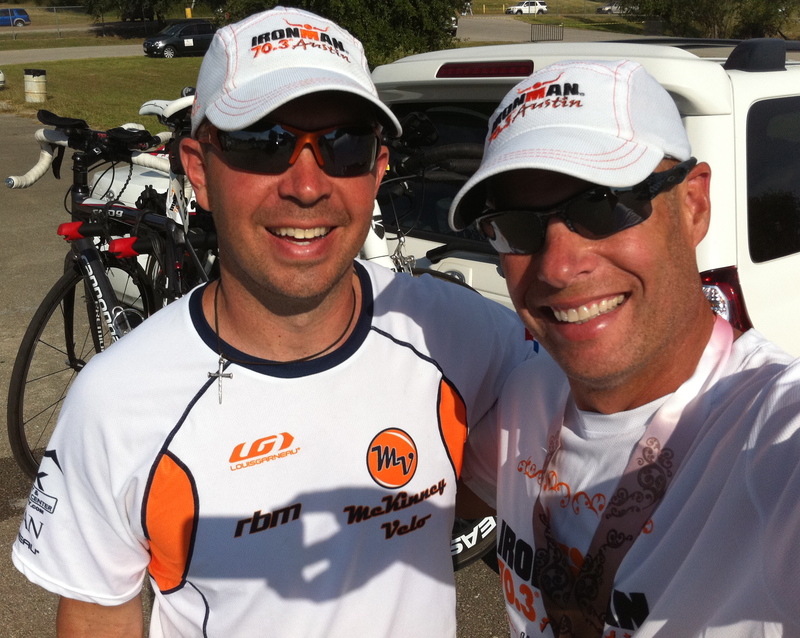 I’m grateful to Jon for his influence, encouragement (and expertise) in the sport. 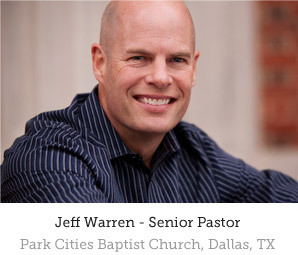 He’s also a dear brother in Christ. Here I am with Sister Madonna Buder in Boulder, Colorado. She is one of my heroes and (as you can see) I was excited to meet her! 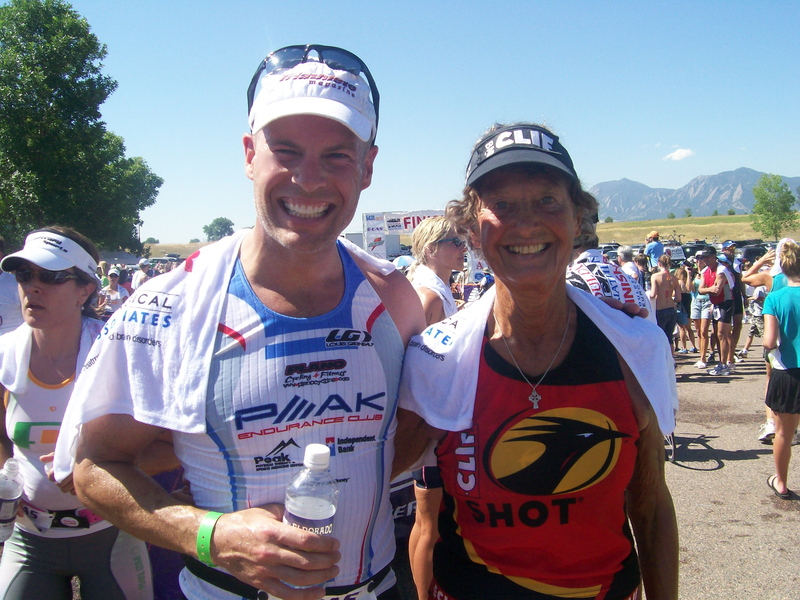 At 81 years old, she has now competed in nearly 50 Ironman distance events. She’s also a nun and has been a part of the multi-sport community for years. She is a lover of Jesus, an amazing inspiration, and a witness for Christ to thousands. 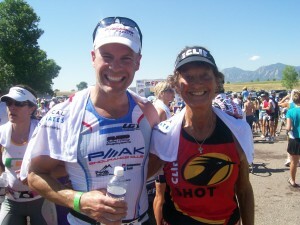 I’ve learned many life lessons from triathlon and the many life parallels of being a man. In 1 Corinthians 9:24, Paul says, “Do you not know that in a race all the runners run, but only one gets the prize? Run in such a way as to get the prize.” His point here is not so much about competing against others as it is about the how you run this race of life. He says race to win. 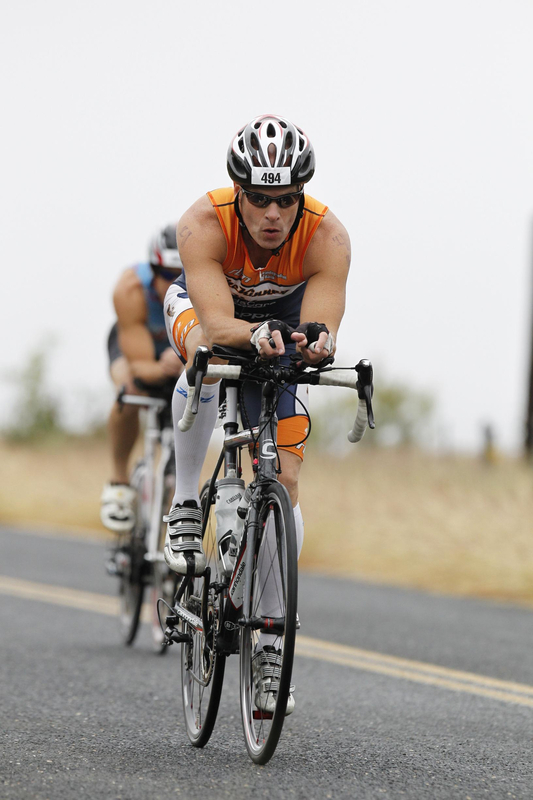 The triathlon is an image or parable of a man’s life in many ways. It’s not enough to start the race, you must finish the race strong. (In fact, they have a term for it when you “DNF”- did not finish- too many men DNF in life). Many men start strong but very few finish well. Along the way you’ll suffer many setbacks, you’ll want to give up, you’ll never win every race, you’ll suffer injury along the way. You’ll need to train hard. You’ll need to live a disciplined life, and you will definitely need some men to come along side you and train with you. As individual of a sport it seems to be, you cannot do it alone. But here’s the KEY learning: The idea behind “the triathlon of manhood” is this: We must focus on three disciplines in order to finish strong. A man must do well in all three areas of his life in order to succeed as a man. “Be on the alert, stand firm in the faith, act like men, be strong. Let all that you do be done in love.” 1 Corinthians 16:13-14. This passage has four imperative commands that tell us how to run and win this race. 1. Be on guard. Watch out! Be alert! Many men are not aware of the schemes of the evil one. You need know the Word of God, study it, and apply it! Matthew 5:8 says, “Blessed are the pure in heart, for they shall see God.” Listen: there are moral conditions for spiritual insight. If you want an ever-expanding and clearer view of God, you must keep your heart pure. Wake up! Do not give into sin. .
2. Stand firm in your faith. Hold tight to your convictions. Real men are immovable in their convictions. Guard your heart, be alert regarding what goes in to your mind, what you see. 3. Be the man. Be courageous. The one defining mark of a real man is courage. Real men humbly listen to the audience of One. 4. Don’t stop loving. Everything you do must be done in love. We struggle in our culture to combine the rough, adventure, masculine, barbarian spirit of men with a loving, kind and tender heart (that’s a tough thing) but it is a potent combination in the hands of God. The Ultimate Ironman: Jesus Christ. Jesus is the ultimate man and He has finished the race for us. He becomes, at the same time, our goal and the means (the power) to finish the race strong. Men, commit to the triathlon of life and you will finish strong!